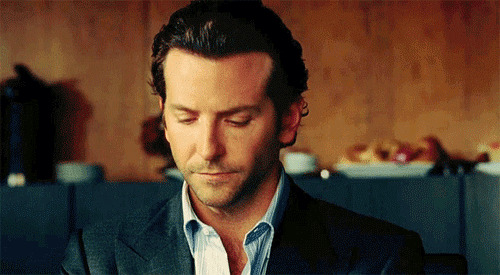 Bradley Cooper has been working steadily in television and film for the better part of the 21st century. After graduating with his MFA in Acting in 2000 from the Actors Studio at the New School in New York City, his career has been steadily on the rise. But it hasn't been all sunshine and daisies. And they are QUITE dreamy. Onstage at the Directors Guild Awards, Cooper (who made his directorial debut with the critically acclaimed re-imagining of A Star Is Born, starring Lady Gaga and Cooper himself) revealed that he'd auditioned for fellow director Spike Lee, and Lee rejected him. Lee didn't remember the event, but Cooper clearly did. "You get a chance to read for Spike Lee, you're never going to forget that," Cooper said. "You said 'Hello, how are you,' you asked me about Philly, you did the thing and you got me out quick. You were going hard. You're a very present human being." According to Variety, other panelists included "Adam McKay for Vice, Peter Farrelly for Green Book and Alfonso Cuaron for Roma." Cuaron commented on the topic as well, saying that great actors exist before a director "discovers" anybody--two great minds just come together in one process. Lee is nominated for his direction of BlackkKlansman. The film itself is up for six academy awards, including Best Supporting Actor for actor Adam Driver and Best Picture. A Star Is Born is up for eight academy awards, but Cooper himself is not nominated. The 91st Annual Academy Awards will air on Sunday, February 24th at 8 PM EST. We can't wait to tune in and see how these amazing directors make out.